Oology is the branch of zoology that deals with the study of eggs, especially birds’ eggs. It can also be applied to the hobby of collecting wild birds’ eggs (which is now illegal in many jurisdictions). Oology includes the study of the breeding habits of birds, and the study of their nests. (The study of birds’ nests is sometimes called caliology). 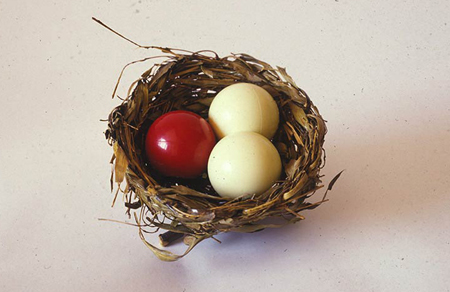 Birds’ eggs are conveniently classified as marked or unmarked, according to the ground color. 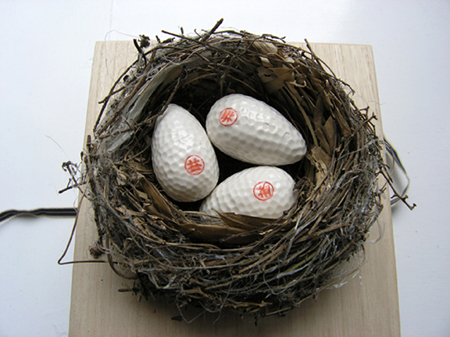 Birds which lay their eggs in holes in trees or in the ground almost always have white, unspotted eggs. Birds which build in trees generally have blue or greenish eggs, either spotted or unspotted, while birds that build in bushes, near the ground, are likely to lay speckled eggs. You are currently browsing the archives for the Oology category.